for a limited time only - Save £2.99! Santa Claus has the very big task of making his list of all the good boys and girls around the world, every year. 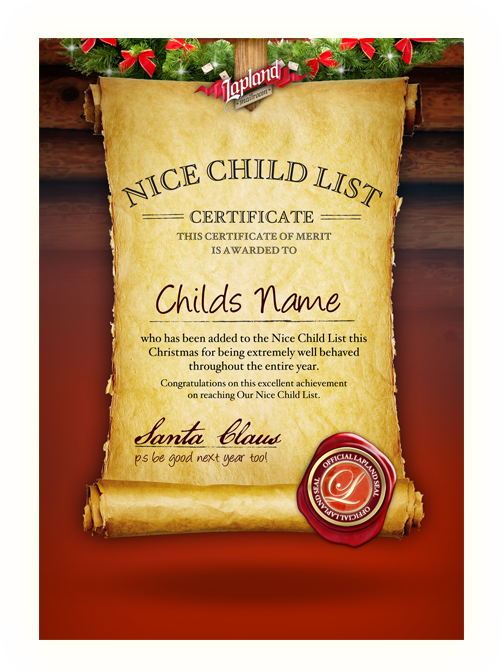 Santa's 'Nice Child' list is getting very long this year with all of the lovely boys and girls that are being included and just for these special children, Santa is giving away a beautifully personalised ‘Nice Child’ certificate with every personalised Lapland Mailroom Letter.